No matter whether you have private insurance, Medicare or Medicaid, they're talking about changes that will affect your healthcare. Make sure you're registered now, and make sure you vote next November. 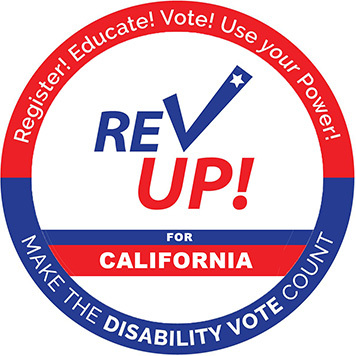 In collaboration with the American Association of People with Disabilities' Rev Up campaign, the Disability Organizing Network supports National Disability Voter Registration Week. Building the disability vote is essential. Together we can make a difference by continue to organize and educate people with disabilities about the importance of voting. There are a variety of ways to participate in National Disability Voter Registration Week.